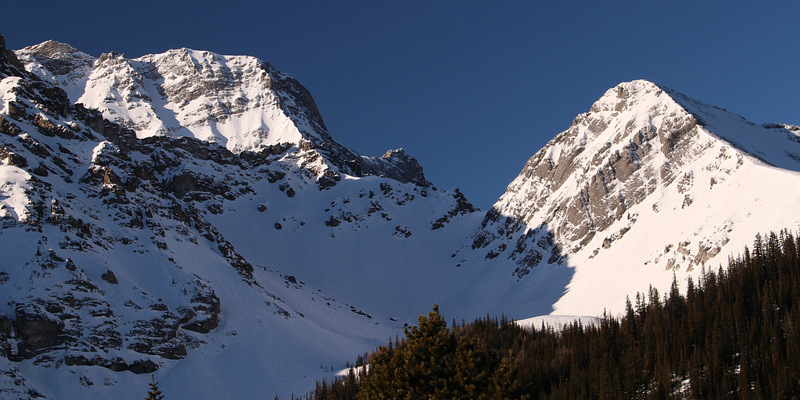 Looking for a quick outing since we had a party to attend later in the day, Zosia Zgolak and I opted to climb Black Prince Outlier in Alberta's Peter Lougheed Provincial Park on 16 December 2017. 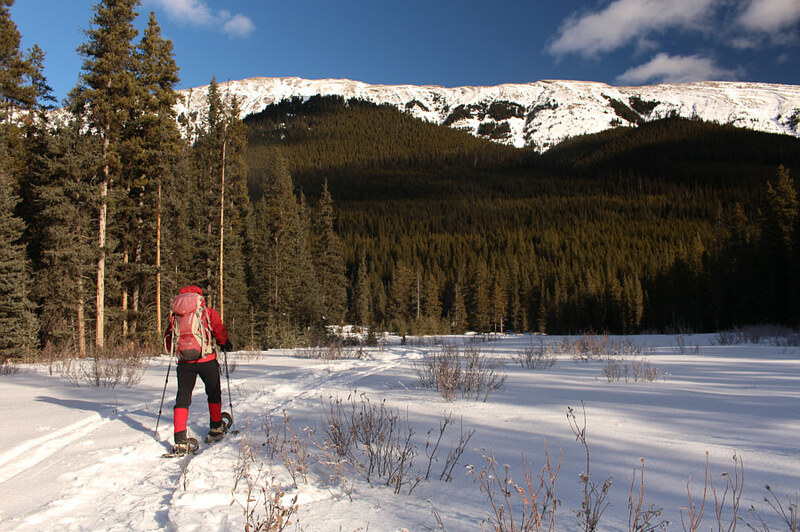 The route is described as a snowshoe trip by Bob Spirko, and although we considered using AT ski gear, we ultimately opted to use snowshoes since we were uncertain about snow conditions and the complexity of the terrain. 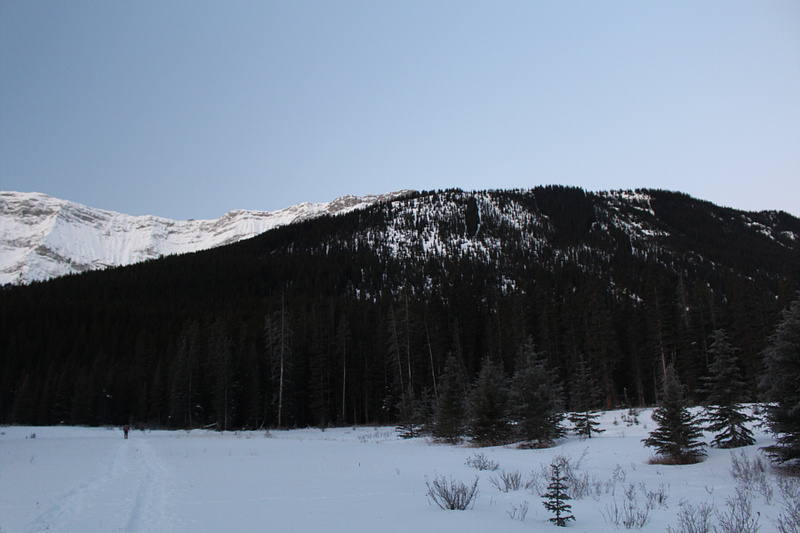 Given the recent stretch of warm weather in the mountains, I was shocked by how cold it was at the trailhead (Smith-Dorrien day use area) on this day--a frosty -16°C! We quickly geared up and followed old tracks across the flats to Smith-Dorrien Creek. 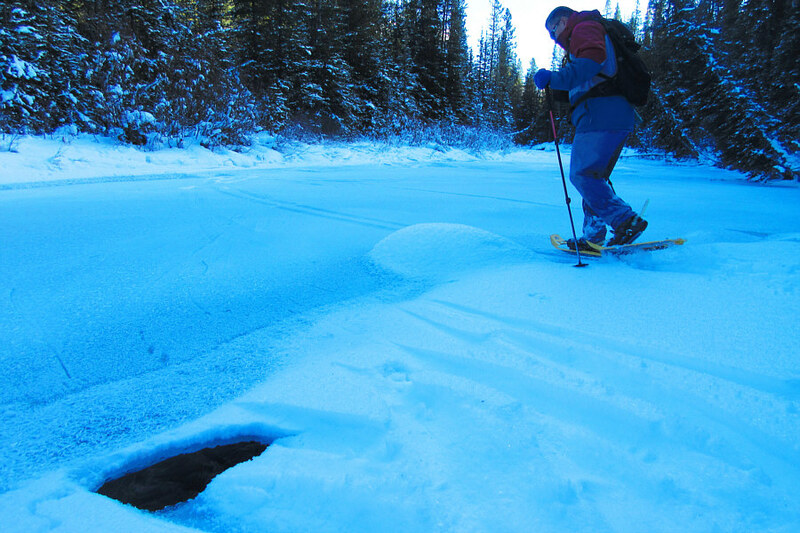 While the creek was mostly frozen, there were still a few weak spots in the ice, and at one point, I nearly punched through to flowing water with my right foot. On the far side of the creek, we continued to follow the tracks through bushy terrain but eventually lost them altogether higher up the slope. Snow conditions were far from ideal on this day. 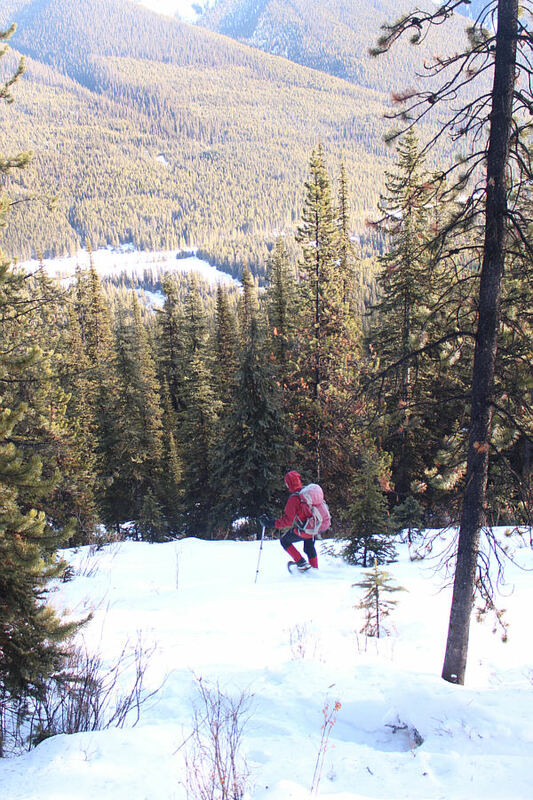 The snow's sugary consistency made it challenging to gain traction especially on steeper terrain. I often had to pull on tree branches to make any upward progress. 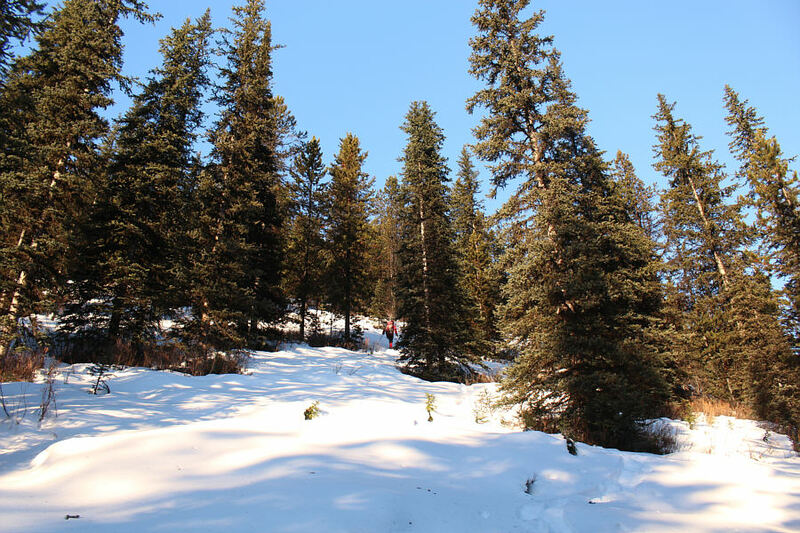 While Zosia broke trail and seemingly danced up to the ridge top, I floundered badly in the treadmill snow. I only managed to catch up to Zosia on the ridge top when she got cold waiting for me and turned around to see if I had gotten stuck somewhere. Just as Spirko describes in his report, the high point is at the north end of the ridge top and is largely devoid of views because of tree cover. We wandered a little past the high point before turning around and stopping for a short break. 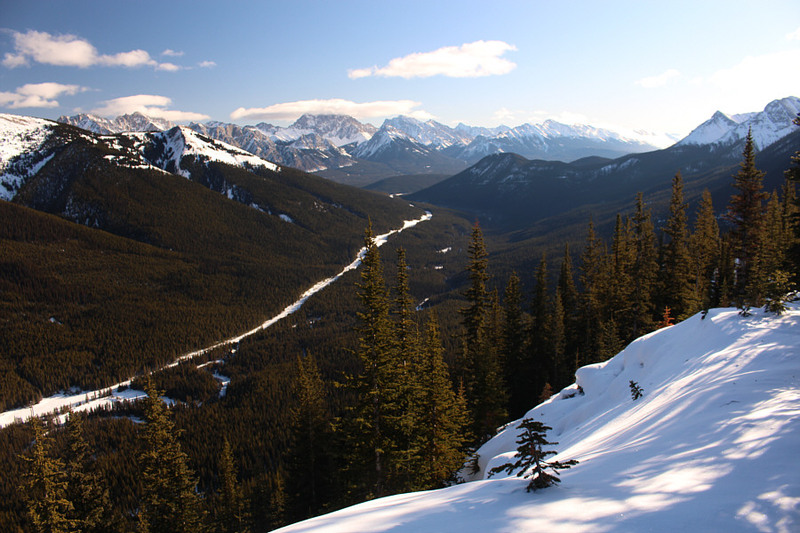 As we backtracked to the south end of the ridge top, Zosia noticed fresh ski tracks overlying our snowshoe tracks. Shortly after, we ran into three intrepid skiers who were removing their climbing skins in preparation for a run down the steep east face. Zosia and I both wished them luck before we resumed retracing our footsteps. Unlike the ascent, the sugary snow worked well in our favour on descent, and we dropped quickly down the slope and re-crossed Smith-Dorrien Creek without much trouble. 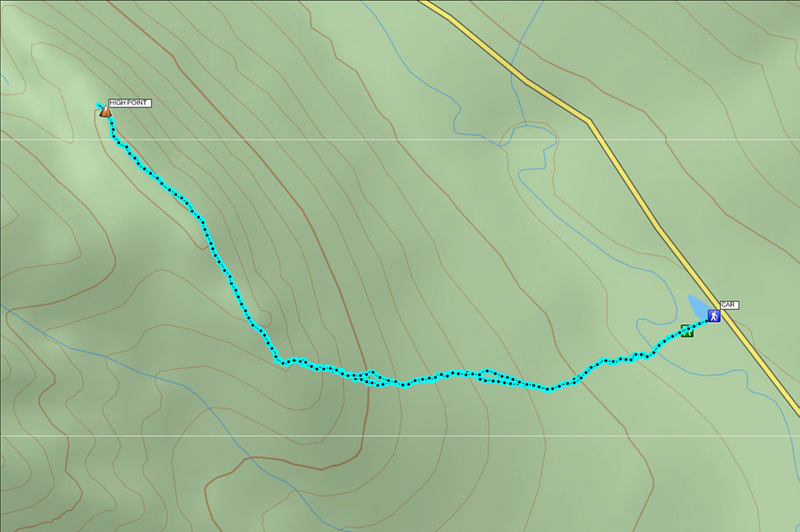 In fact, we beat the three skiers back to the trailhead by several minutes although that was not entirely surprising since the lower reaches near the creek are hardly what I would consider skiable terrain. With all the hard work done for the day, we headed home to get cleaned up and to refresh ourselves for a long night of eating, singing and dancing! Here is the view of Black Prince Outlier from the trailhead. 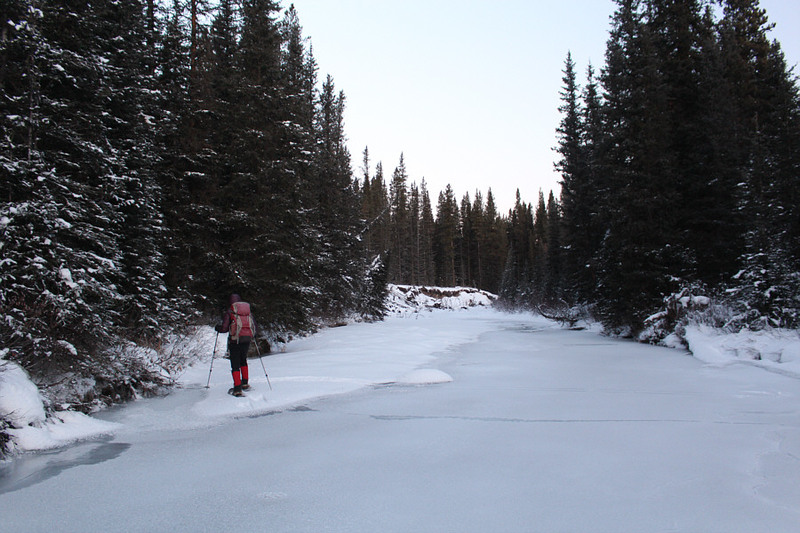 Zosia crosses frozen Smith-Dorrien Creek. 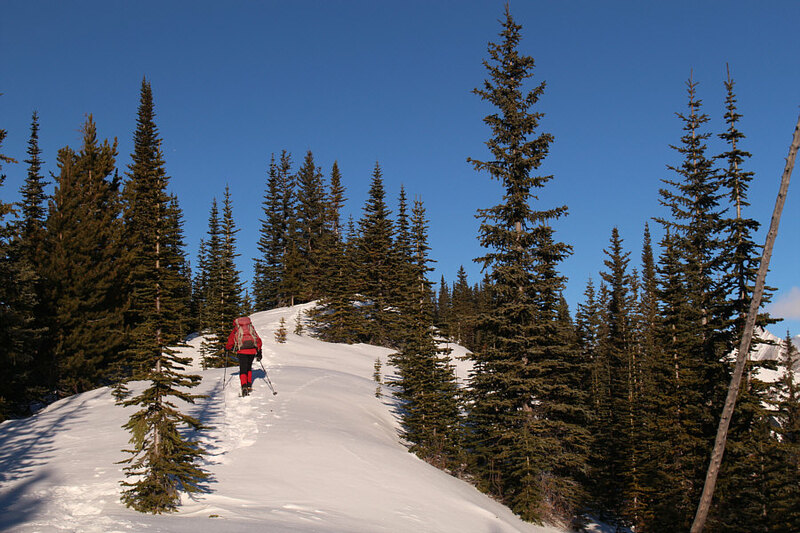 Zosia ascends typical terrain on the east side of Black Prince Outlier. 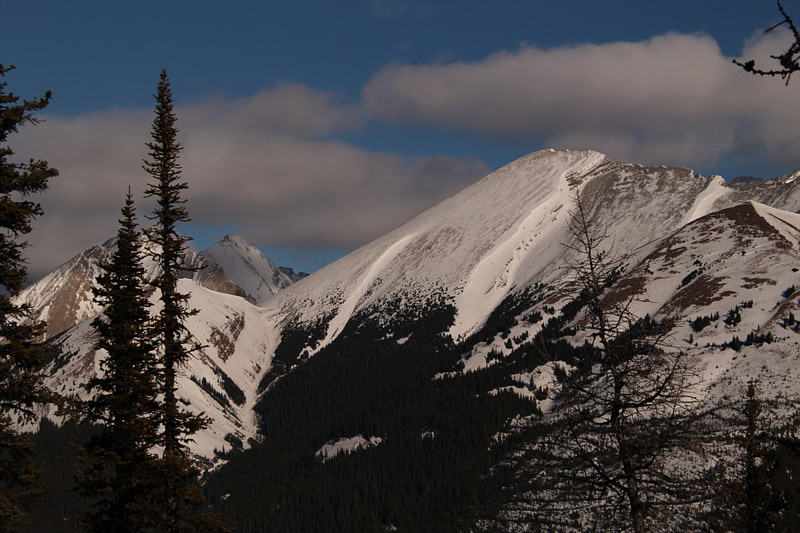 A break in the trees grants this view of Mount Black Prince. Zosia proceeds along the crest of the ridge. Another break in the trees grants this view of Blacksmith Ridge (right). 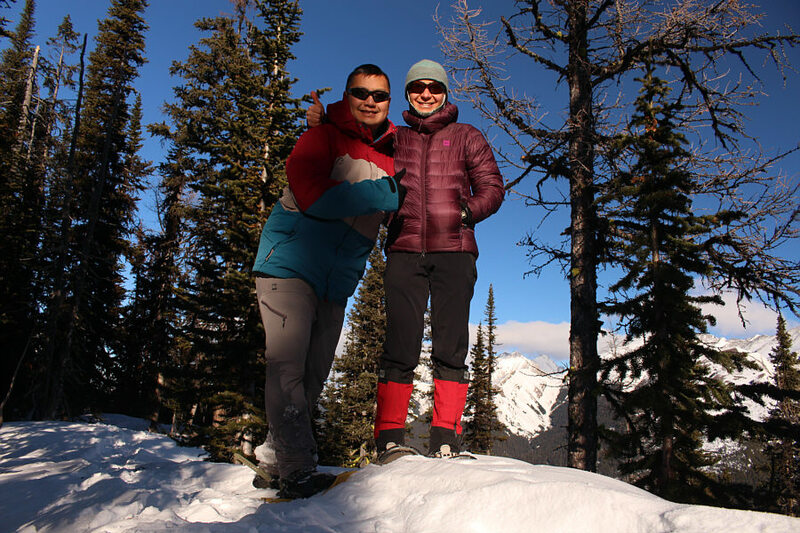 Sonny and Zosia stand on the high point of Black Prince Outlier (2210 metres). Visible through the trees to the north is Kent Ridge North Summit. The Opal and Misty Ranges can be seen across the horizon to the southeast while Gypsum Ridge is just right of centre in the distance. 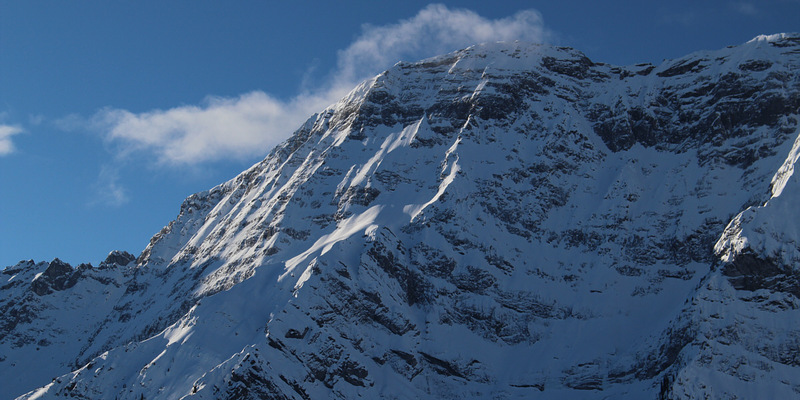 The trailhead for Black Prince Outlier is also visible at bottom left. 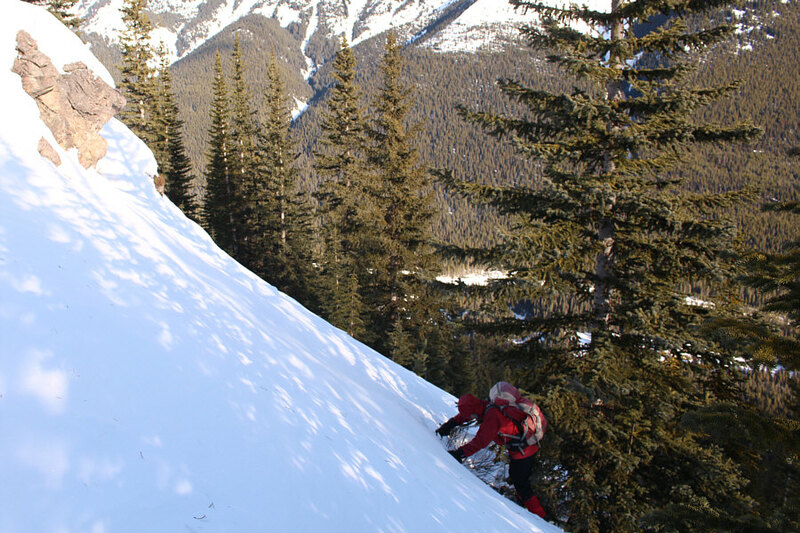 Zosia carefully descends a steep snow slope. With the steepest sections behind her, Zosia plunges more confidently down the moderate slope. Sonny re-crosses Smith-Dorrien Creek. Note the hole in the ice. Zosia walks across the flats back to the trailhead.